I have read both Tough Jews, and The Avengers, by Rich Cohen and enjoyed the books immensely. I met Rich last year in New York City at the Jewish Book Council's Meet the Author Event in June, 2009. "In an L.A. delicatessen, a group of Brooklyn natives gets together to discuss basketball, boxing, the weather back east, and the Jewish gangsters of yesteryear. Meyer Lansky. Bugsy Siegel. Louis Lepke, the self-effacing mastermind of Murder, Inc. Red Levine, the Orthodox hit man who refused to kill on the Sabbath. Abe "Kid Twist" Reles, who looked like a mama's boy but once buried a rival alive. These are just some of the vibrant, vicious characters Rich Cohen's father reminisced about and the author evokes so pungently in Tough Jews. Tracing a generation of Jewish gangsters from the candy stores of Brownsville to the clubhouses of the Lower East Side--and, occasionally, to suites at the Waldorf--Cohen creates a densely anecdotal and gruesomely funny history of muscle, moxie, and money. 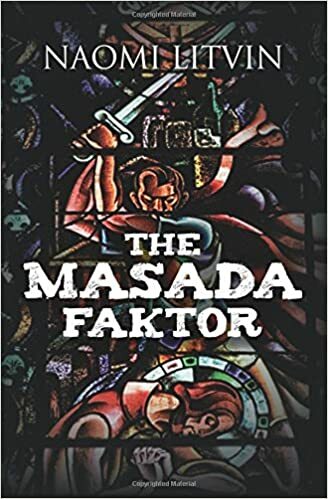 Filled with fixers and schlammers, the squeal of tires and the rattle of gunfire, his book shatters stereotypes as deftly as its subjects once shattered kneecaps." "Rich Cohen, author of the acclaimed Tough Jews, again narrates a little-known episode of Jewish history, this time altering what we thought we knew about the Holocaust. Abba Kovner, Vitka Kempner, Ruzka Korczak-comrades, lovers, friends. In the Lithuanian ghetto of Vilna, they were the heart of a breathtakingly courageous underground movement, and when the ghetto was liquidated, they fled to the forests and joined other partisans in continued sabotage and resistance. Riveting, poignant and uplifting, The Avengers is a powerful exploration of resistance and revenge, of courage and dedication, and an inside look at some of the intrepid individuals who fought against the Holocaust and the nazi occupation of Europe." I read Erin Einhorn's book before I met her in New York City at the Jewish Book Council's Meet the Author Event in June, 2009. Erin's book was amazing and I especially admired her for moving to Poland to confront the people that occupied her family's home. Maus was such a personal journey for me. Just getting through it was a challenge, as I read through to page 99, put a book mark in the book, and didn't pick it back up for several years. 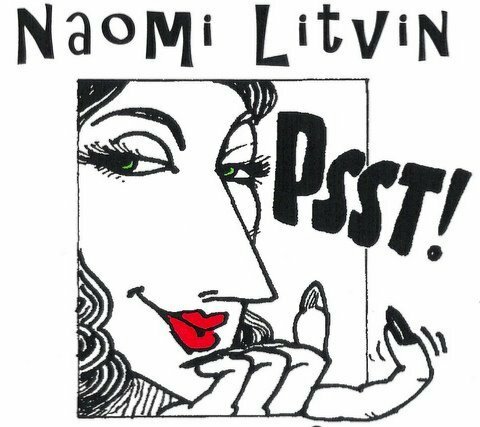 I identified with and felt Art Spiegelman's pain in every cartoon that he drew. This man, this artist, is a genius. What he feels from being the son of Holocaust survivors is depicted in this epic, incredible work of art. "Maus is a powerful memoir about Vladek Spiegelman, a Jewish survivor of Hitler's Europe, and about his son, a cartoonist who tries to come to terms with his father,his story, and history. Moving from the gates of Auschwitz to the sidewalks of Queenes, this is the ultimate survivors's tale--and that, too, of the children ho somehow survive even the survivors. The Jews are portrayed as mice, the Nazis as cats, but put aside all your preconceptions. This is a new kind of literature." 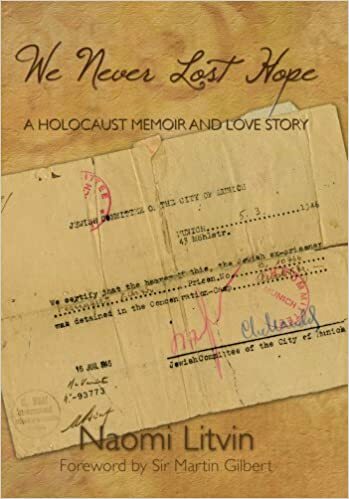 By Sir Martin Gilbert Sir Martin Gilbert advised and mentored me during my quest to publish my family's World War II and Holocaust memoir, We Never Lost Hope: A Holocaust Memoir and Love Story. Martin took the time out from his own important projects to read my manuscript and then encouraged and mentored me in getting the book published. When I asked him if he'd like to write a foreword, he did not hesitate, and honored me with his addition to my book. I have included two maps from his great work, that directly impact my family's story. It is my pleasure to offer a look at one of his great works here, on my site. "The harrowing history of the Nazi attempt to annihilate the Jews of Europe during the Second World War is illustrated in this series of 320 highly detailed maps. This atlas traces each phase of the Holocaust, beginning with the anti-Semitic violence of prewar Germany and leading to the German conquest of countries in which the Jews had lived for centuries. Presented in chronological order, the maps document in compelling detail the story of the Holocaust, from the spread of the early random killings of Jews and their systematic mass expulsion from thousands of towns and villages to the establishment of ghettos and the setting up of the death camps. Also shown on the maps are more than two hundred acts of resistance and revolt, as well as areas of Jewish partisan activity and other avenues of escape and rescue. My copy of Children Of The Holocaust, is signed by author Helen Epstein. It is a prized possession of mine and represents a watershed time in my life. "Here is the first book ever written for the general public that tells the sometimes tragic, sometimes triumphant story of the sons and daughters born to survivors of Hitler's concentration camps." "Helen Epstein, herself born to survivors of Auschwitz and Terezin, vividly relates her own private quest to come to terms with her parents' past--a past that, despite their efforts to protect her, had become her own..."
Read about Rabbi Meir Kahane from his wife Libby Kahane's point of view. It is intriguing for me to learn about Kahane from a woman's viewpoint. I haven't finished this yet, as I savor and love every page. Interesting to learn that Kahane wrote articles under pseudonyms and worked undercover for the FBI under deep cover investigating the John Birch Society. "When the chips are down, you know who's going to fight for the Jew? Only the Jew. And it's about time we understood this." (1971) -- Rabbi Meir Kahane. "Jewish survial and redemption are proof eternal and ultimate that the world is not overned by logic, by sanity, or by man. It is controlled and decreed by G-d." (1975) -- Rabbi Meir Kahane. I absolutely adored this book when I read it many years ago. I just began reading it again. "Within every woman there lives a powerful force, filled good intincts, passionate creativity, and ageless knowing. She is the Wild Woman, who represents the instinctual nature of women. But she is an endangered species..."
Letters to Auntie Fori : The 5,000-Year History of the Jewish People and Their Faith by Sir Martin Gilbert A super entertaining analysis of the 5,000 year history of the Jewish people told in stunning letters from Martin Gilbert to his dear friend, a Hungarian Jewess who was a citizen of India. House of Sand and Fog by Andre Dubus I read this book and saw the movie simultaneously. I was mesmerized by both. If I could pick a director for my screen adaptation of We Never Lost Hope, it would Vadim Perelman, the director of House of Sand and Fog. This tells a tragic tale from the viewpoints of the two main adversaries, Behrani and Kathy. To both of them, the house represents something more than just a place to live.